RBI Established on the recommendations of - Hilton Young commission. The other banks can borrow the money from each other or from the market, if they failed everywhere then the last option is to borrow from RBI. RBI act as a banker to the Government of India &amp; also to the governments of the constituent units of India’s federal system. B. Bank makes payment on behalf of the ggovernment, etc. 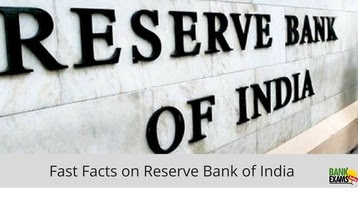 RBI performs various promotional functions. They actively participate in Government various initiative like financial Inclusion , Surgical strike on Black money , etc. Why you don't update information as I can see the present governor of RBI in your data is Urjit Patel, but he has already resigned in December 2018. right now the governor is Shakikanta Das. If you made a website please keep it up to date. People like me who are preparing from your website for exam will get wrong information which can lead in marks deduction.